Never stop performing "Southern State of Mind." I attended your “Good for a Good Time Tour” show in Virginia Beach. Before performing “So I Sang,” you said you could not be where you are today if it weren't for your mom ("No one believed in me as much as Mom"). Before singing “It Won’t Be Like This For Long,” you said being a parent is the greatest job in the whole wide world ("One day soon that little girl is gonna be all grown up and gone, Yeah this phase is gonna fly by, He’s trying to hold on"). Your lyrics have allowed me to appreciate all that my parents have done for me. Pushing me back up when I’ve fallen, holding my hand every step of the way, making me the confident and smart young woman I am today. There is never a time where they are absent or are not supporting me. They have constantly reminded me that I can do whatever I set my heart on, as long as I work hard for it, just like you did with your music, and for that, I will always appreciate you and your music. You knew you wanted to perform, and you knew you can do it, but, just like you said in Virginia Beach, you didn’t think you were going to get as far as you have. But look at you now. You are the best of the best: A well-known, talented artist, an inspiration to many, and (obviously) my idol. Please never stop touching people’s hearts the way you have touched mine. You have made me a more all-around appreciative person. Thank you for that. 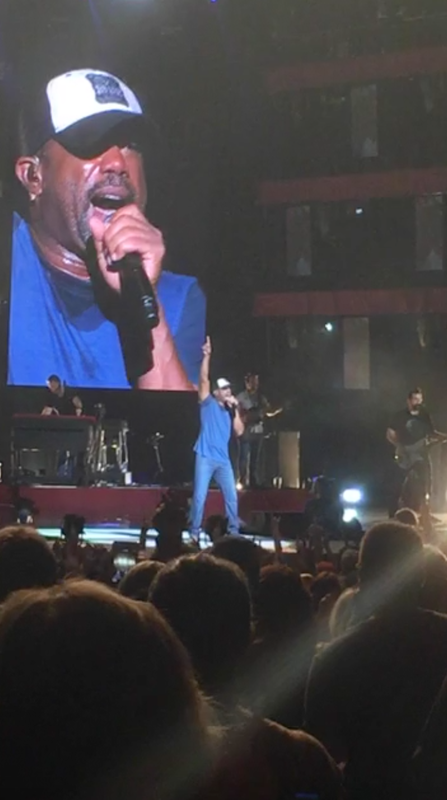 Never stop performing "Southern State of Mind,"